Christmas season is here! 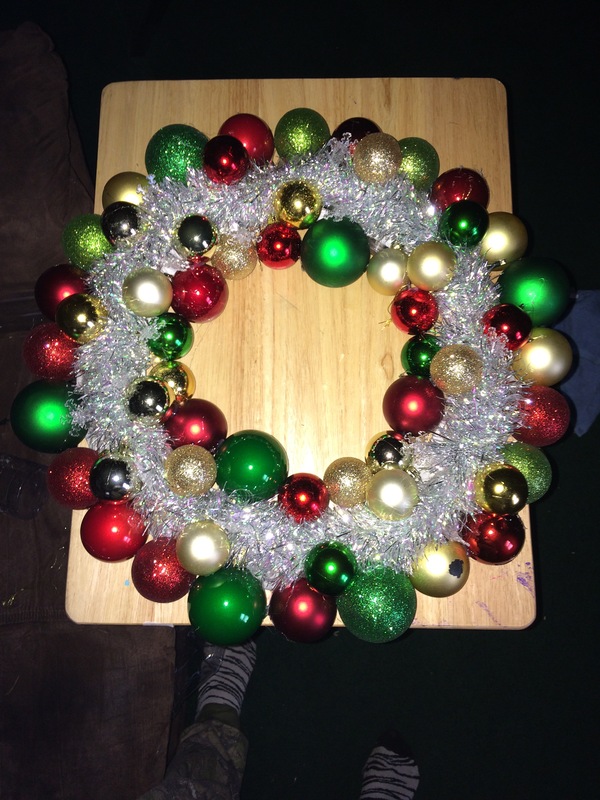 What a perfect season to make crafts. I’m puertorrican and in Puerto Rico the Christmas tree, the lights and decorations are up before Thanksgiving Day. I’m no exception. 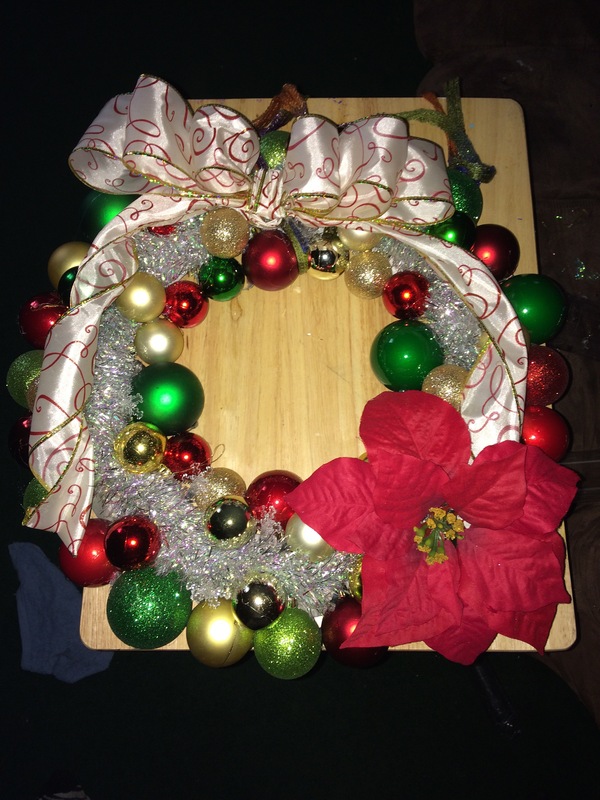 I have seen these beautiful Christmas wreaths made with ornaments to hang in the front door and I immediately felt in love with them. The only problem is that the price is high. Cost varies from $35 and up. So, I decided to make one myself and the best part is that it only cost me $10. 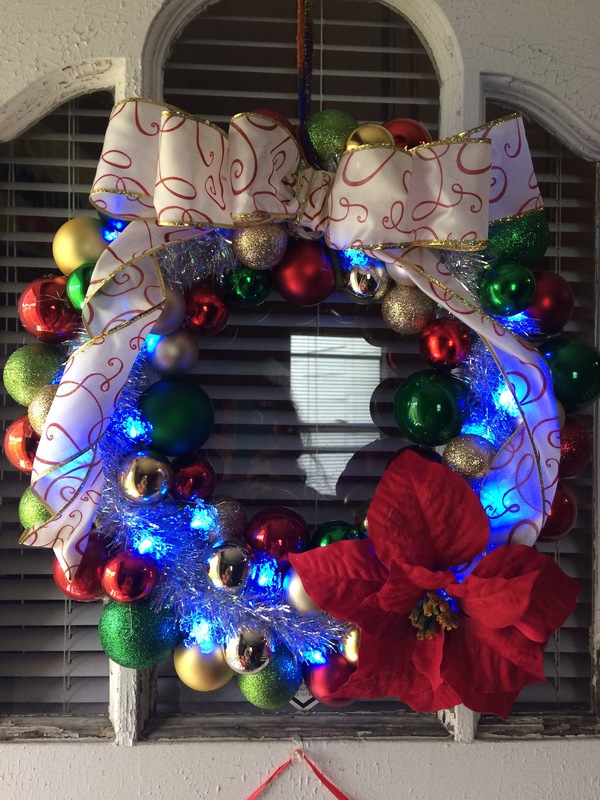 Another advantage is that you can make it the color you want and with the decorations you want. It cost me $10 because I bought all the supplies in the Dollar Store. The only disadvantage is that they only have certain colors of ornaments like green, red, silver and gold. That was not a problem because this are the colors I wanted all my decorations. But, if you want another color it may cost you more (anyway less than buying one already made). Without more to say, let’s know how to make it. 2 battery operated Christmas lights 2ft long. (Optional) I used the ones with snowflakes. 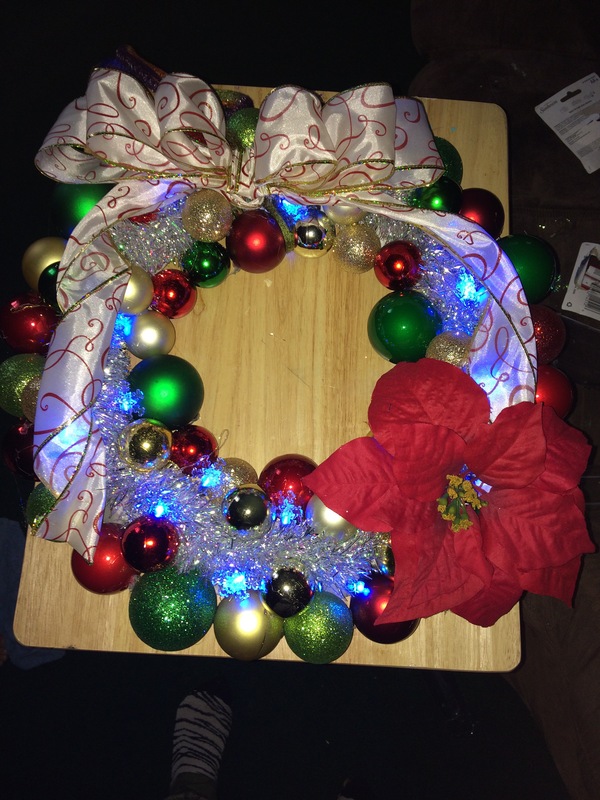 Cover with paper tape the wire wreath all around front and back. 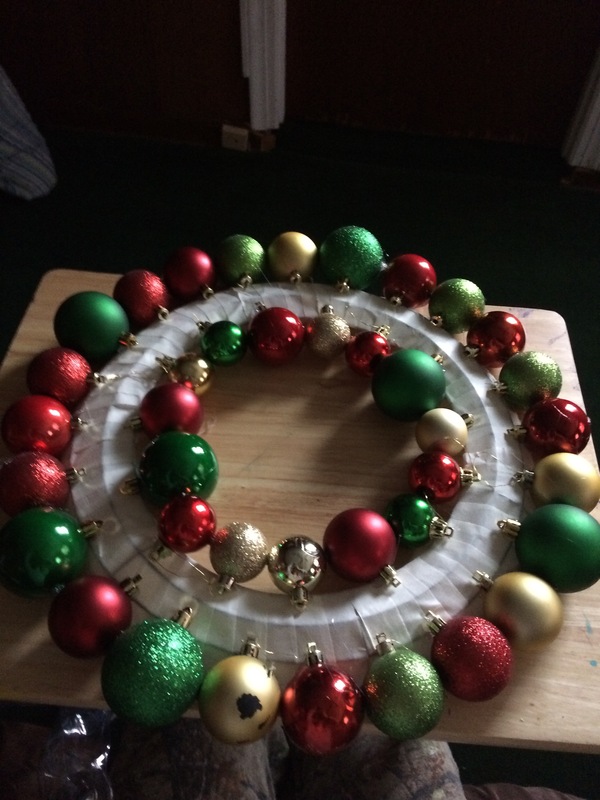 Start gluing the ornaments in the outside border first and then the inside border. 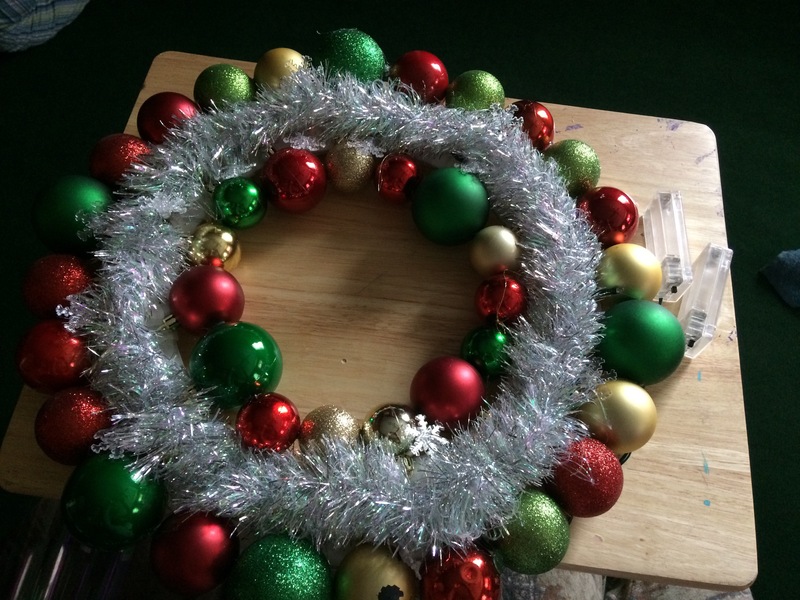 Start with the bigger ones, then the medium, etc… Glue them to the wire wreath and together for more support. 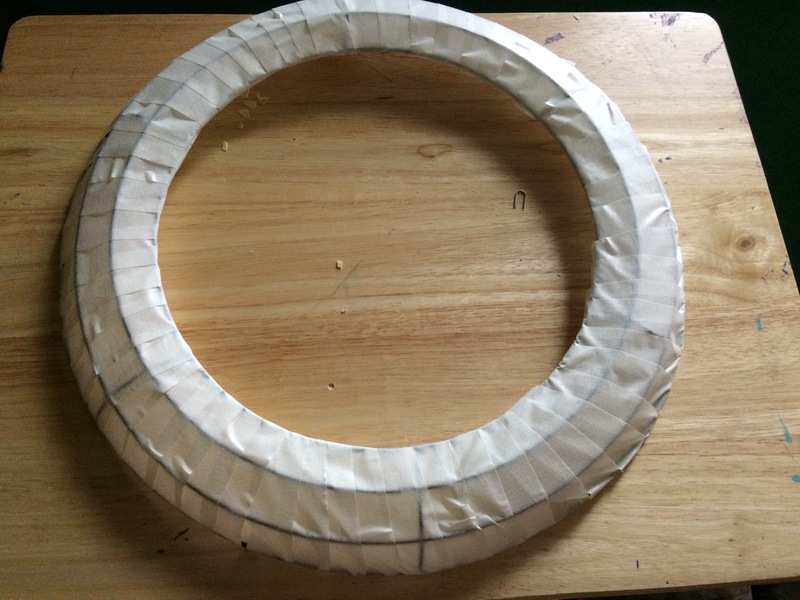 After the outside border and the inside border are finished, glue or tape the lights making a circle between both borders. One lights set in the left side and another one on the right. 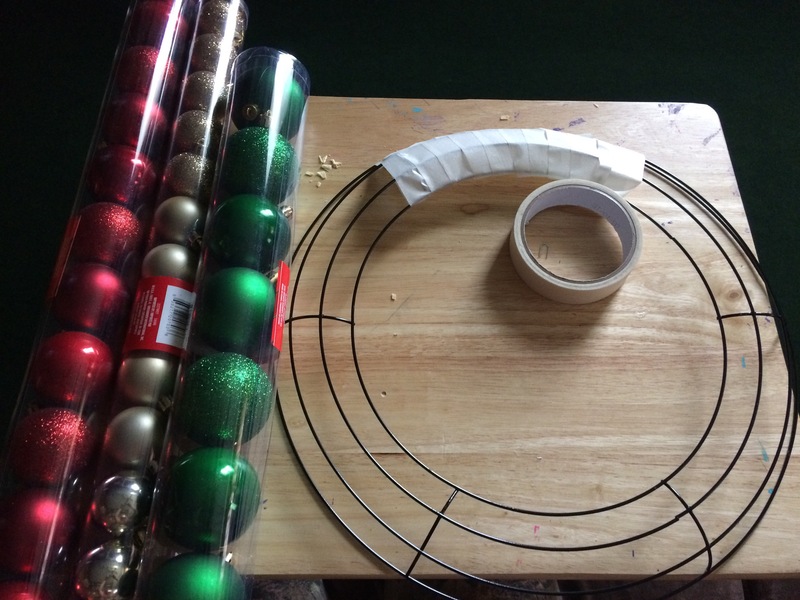 Glue the battery boxes to the back of the wreath, one on the right side and another one on the left. 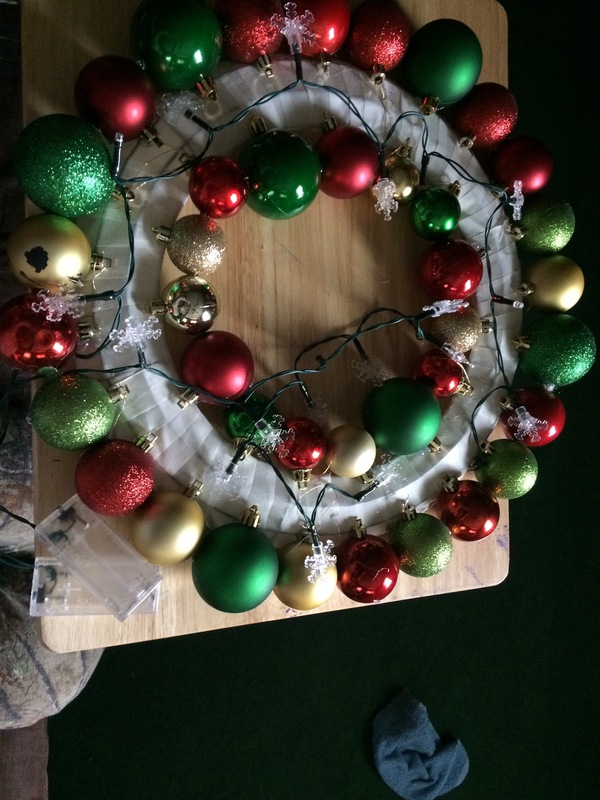 Do the same as Step 3 with the garland trying to cover the lights wire and empty spaces. 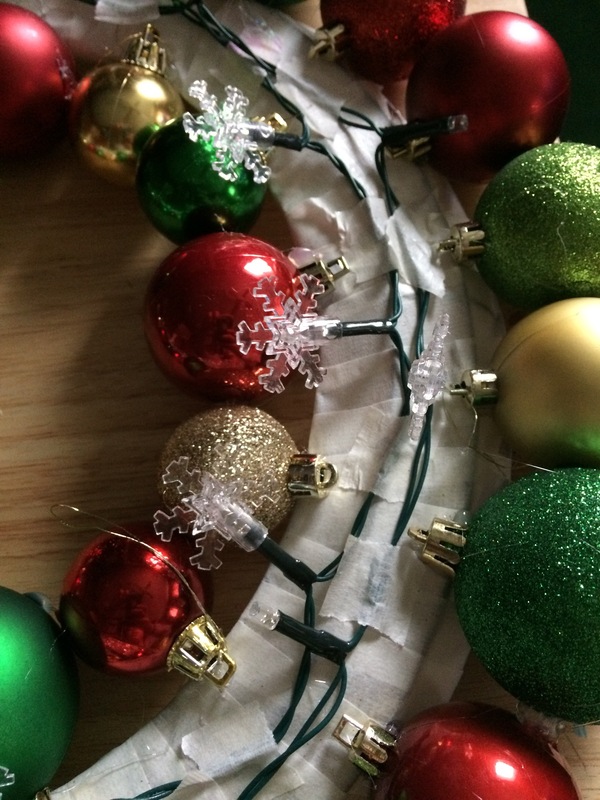 Cover any hole or empty space with the more smallest ornaments. 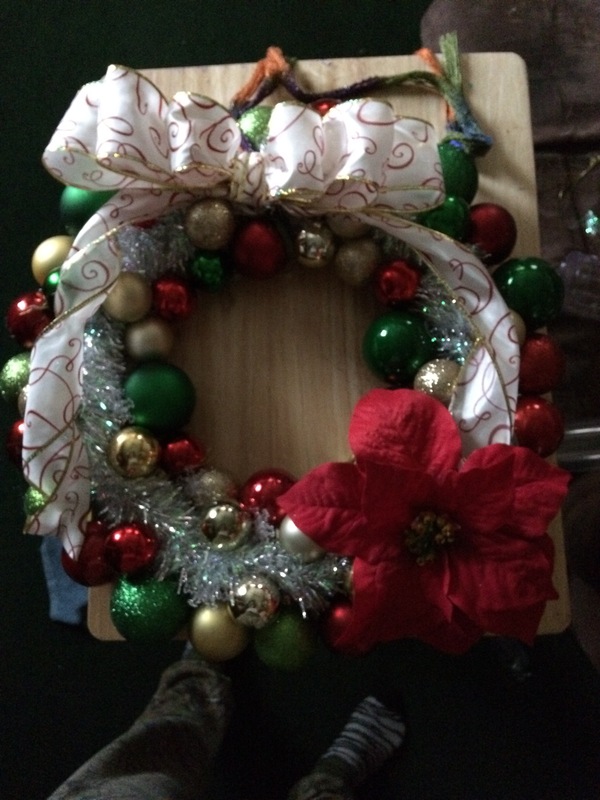 Tie a string or a piece of ribbon in the middle highest part of the wreath to hang it in the door. 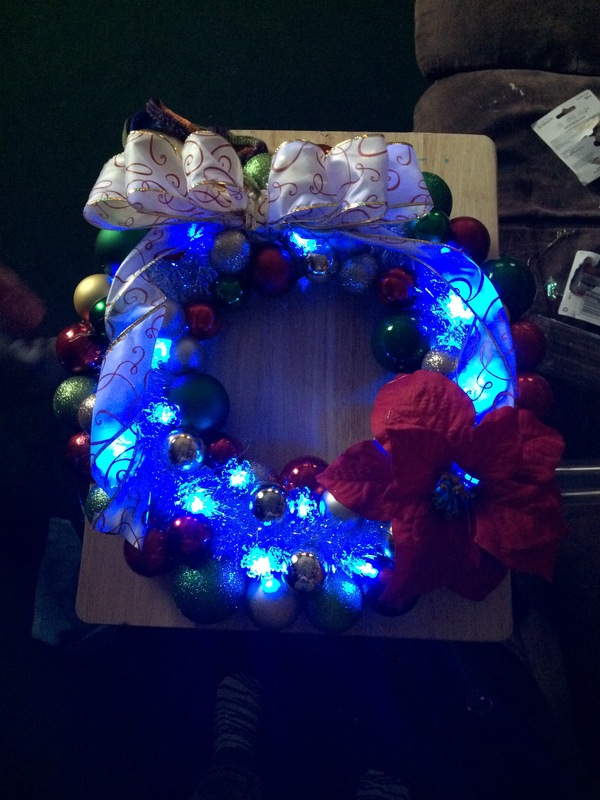 You can use a wreath holder if you like. 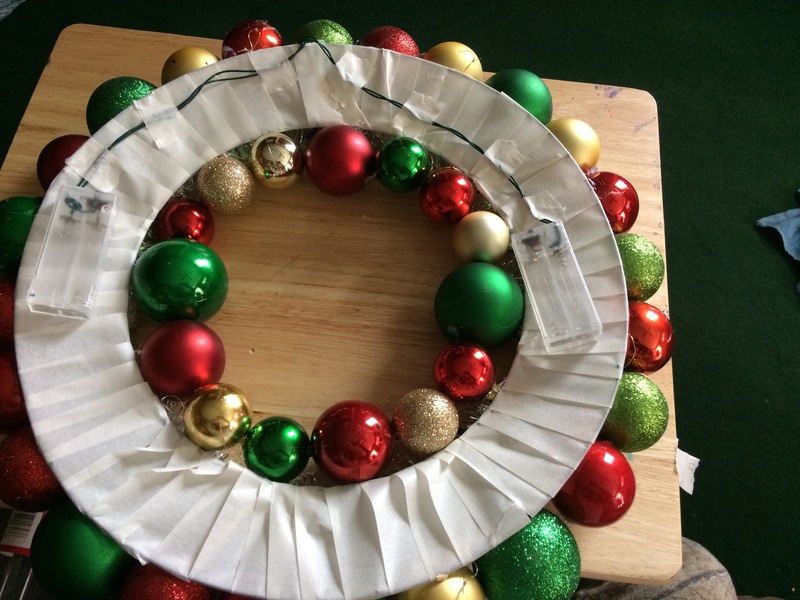 Make a big bow with the Christmas ribbon and glue it in the center covering the hanger string. 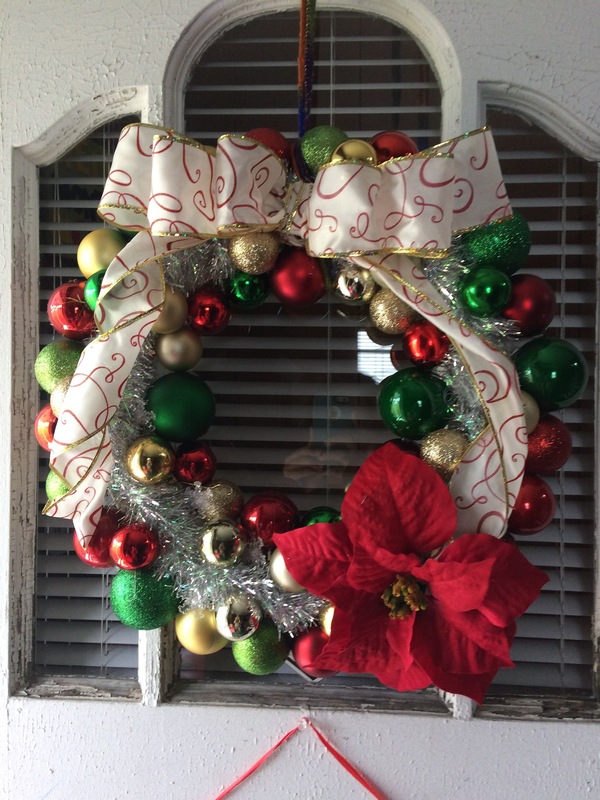 Glue the Poinsettia or any other decoration you want and hang it in the door. 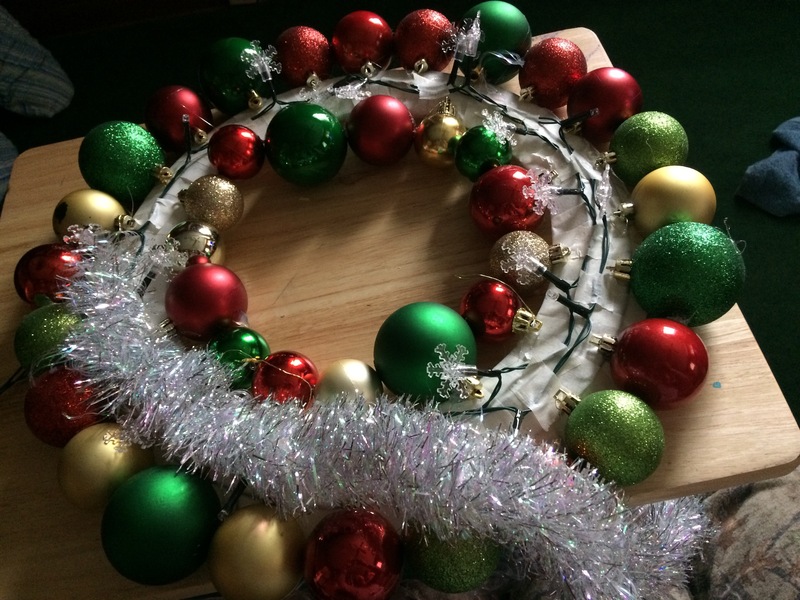 Now you have a DIY Christmas Wreath that cost less than buying it already made. The best part is that when someone come to visit and tells you how beautiful it is, you can be proud to say “I made it!”. Probably, they won’t believe you but it is a priceless feeling. Hope you liked this post and remember to comment and share with your friends. 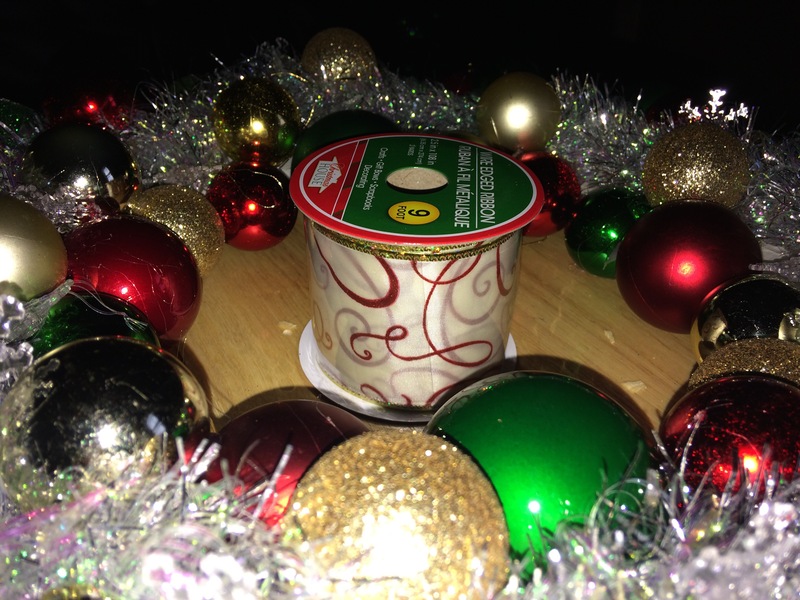 Stay tuned for more DIY Christmas Decorations. Very nice..thank u for sharing.